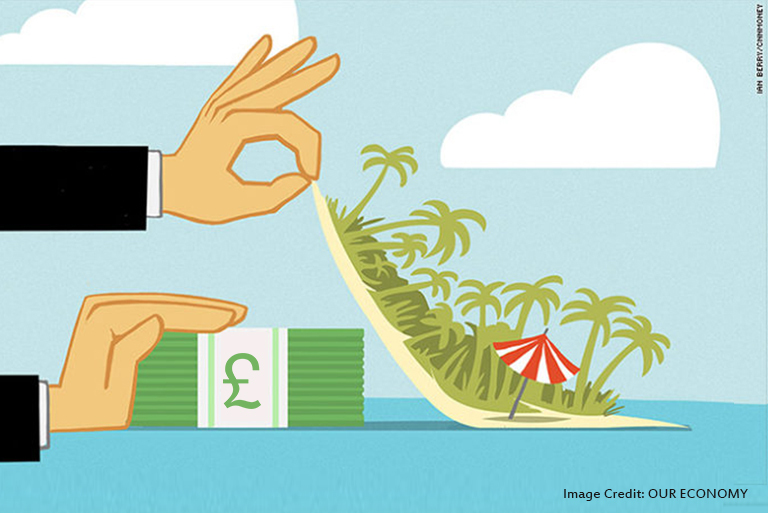 Are You An Offshore Owner Of British Property? Hiding Identity Is Punishable; Please Note! Some independent studies reveal that many residential properties in London have offshore owners. So far, there wasn’t a compulsion to disclose identity. However, the draft laws say that now it will be mandatory to reveal the identity. Jail sentences and unlimited fines can be imposed if a violation proves. Legal experts say that it is the need of the day because the government suspects the involvement of money laundering in all such transaction. It is a fact that a lot of corrupt money has entered the system because of a lack of regulation. It hampers the image and reputation of the country worldwide. The scandals that happened in the past proves the acquisition of high-priced properties by foreign nationals (individual buyers or companies). It was observed that overseas criminal gangs used property transactions for laundering billions of pounds. The money flown into corrupt funds. It involved buyers from several countries spread across the globe. In the proposed legislation, the identity of right owners will be recorded in a publicly available register. With the help of it, the law enforcement agencies will find it easy to trap criminal assets. Thus, a comprehensive crackdown on money laundering is possible. Since owning a property by offshore buyers without disclosing the real identity was possible, it inflated the property market disproportionately. It resulted in properties going beyond the reach of domestic buyers. It is not a healthy situation from the market perspective. In short, the proposed legislation hits multiple targets in a single shot. What are the penalties mentioned in the draft? In the draft legislation, several new penalties are included. Leasing or selling a property to a foreign buyer without declaring the beneficial owner have been banned. The jail of up to five years and an unlimited fine is imposed if the deal doesn’t comply to it. If an individual fails to register or tries to furnish false information, then imprisonment of up to five years and an unlimited fine can be imposed. Everyone who favors transparency and legitimacy in the system welcomes the proposed legislation. According to buyers, the proposal offers a powerful tool will lift the cover of secrecy over real estate transactions. People feel that it is just the first step towards bringing transparency to property dealing. Opening the register is indeed momentously helpful. The illegitimate money has ruled the property market in the UK for quite some time. IT has become a hiding place for all corrupt buyers worldwide. By making the provisions further stringent the country will be no more a convenient place to hide the dirty money. As the dirty money will not flow in the property market, the prices will become steady eventually. The properties will be reachable for all. Also, the genuine and legitimate domestic buyers will get the opportunity to own properties of their dream. It looks that the proposed measures will help in improving the health of UK property market.